The all-wheel-drive system saps some of the Encore's already tepid performance, but it will certainly increase resale values. The 2017 Buick Encore reaches for the compact-luxury stars, but it falls shy on styling and front-seat space. When it was new in 2013, the Buick Encore was virtually alone on the automotive landscape as one of few small crossover SUVs. 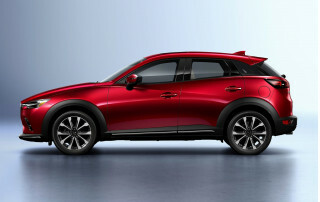 Today, that's a crowded niche, with pricey and prestigious rivals like the BMW X1, Mercedes-Benz GLA, and Audi Q3 as numerous as the more affordable ones (Trax, Renegade, 500X, CX-3, and HR-V). 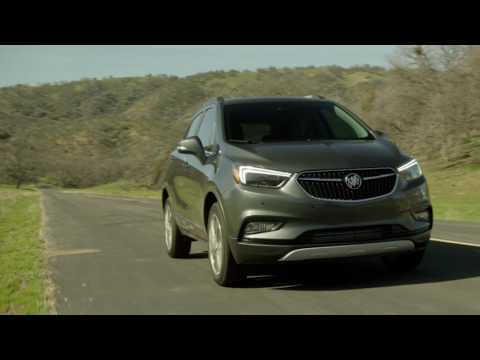 It's been a trailblazer, but the Encore is still a vehicle that feels at odds with the rest of the Buick lineup. Priced at a premium, with luxury-car features, it's still fitted around a petite hatchback body. There just isn't enough sheet metal on the Encore to stretch out Buick's usual styling themes as gracefully as we've seen in other cars. The overall look comes off as stubby. At least the front end looks better this year, featuring a new grille that loses the waterfall bars and adds a chrome strip with a wing shape. The LED headlights look tidier, the lower air intakes are less pronounced, and the hood is cleaner. The interior is more successful in carrying off a premium feel in a small package. The center stack is dominated the touchscreen, which helps clean up the look and make the controls easier to use. Soft-touch surfaces, metal accents, and blue ambient lighting are upscale touches. Befitting the near-luxury Buick brand, the cabin is relatively quiet—though not entirely hushed, since some wind and tire noise still comes through. Active noise cancellation keeps engine roar mostly muted, however. Although you would likely never guess it, the Encore shares some underpinnings with the humble Chevrolet Sonic subcompact. But the Buick's optional all-wheel drive isn't offered on that Chevy, even if it's tuned more for bad-weather traction, rather than off-roading or rocky country tracks. The engine is a turbocharged 1.4-liter 4-cylinder mated to a 6-speed automatic transmission. It is offered in two states of tune: 138 horsepower and 148 pound-feet of torque, or, when direct injection is added, 153 hp and 177 lb-ft of torque. The Encore verges on 3,200 pounds, a lot of mass to move with just 138 hp. Even without the additional mass of available all-wheel drive, the 0-60 mph run takes around 9 seconds, and if you add the extra weight to drive all four wheels, you'll take 10 seconds and learn to plan your on-ramps and merges well ahead of time. The 153-hp version largely remedies this issue. It makes highway merging and passing comparatively effortless and delivers improved pickup from a stop as well. It is the clear choice for everyday drivability. Handling is as good as you'll get in a tall wagon with a short wheelbase. All-wheel-drive models seem to ride more smoothly than front-drivers, perhaps due to the added weight down low. Accommodations are good in certain dimensions particularly and tighter in others. The Encore is a narrow vehicle, so front-seat passengers will touch elbows occasionally. Its real forte is the flexible interior configuration: The back seat flips and folds down, and even the front passenger seat can fold too. That makes it far more useful as a small hatchback than you might expect from the premium trappings, adding some Honda Fit flexibility to the Buick Verano compact luxury overtones. Safety and equipment are where the Encore's pricetag starts to seem more logical. The base vehicle is around $25,000, on top of which you can add leather seats, all-wheel drive, a premium Bose audio system, and safety options like lane departure and forward collision warning systems. All models come standard with 10 airbags, a rearview camera, the ability to run selected smartphone apps via Bluetooth, Apple Car Play and Android Auto, and OnStar's 4G LTE data connection, which allows drivers to create a wi-fi network inside the car. A loaded Encore comes in at around $33,000. At that price point, the Encore raises more questions about size, performance, and the idea of luxury, than it answers. The Encore is small and stubby, but 2017 changes make it more cohesive on the outside and less cluttered on the inside. The Encore wears a Buick badge, but doesn't pull off the curvy corporate look as well as some of the brand's bigger offerings, like the LaCrosse sedan or the Enclave crossover. The front of the car has a new grille that loses the waterfall look and adds a chrome strip with a wing shape. The LED headlights have a tidier look, the lower air intakes are less pronounced, and the hood is cleaner with a single line down the middle and no more portholes. 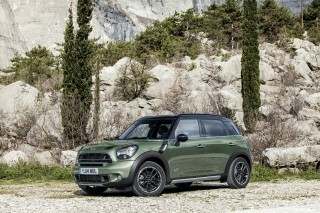 But from the middle of the vehicle on back, the rakish and broad-shouldered stance morphs into a more traditional five-door small hatchback. An attractive S-curve runs down the doors and then up around the cargo area glass. The rear-quarter view does not feel "Buick" at all, and a spoiler at the top of the tailgate extends the roofline to make the short Encore look slightly longer. There just isn't enough sheet metal here to stretch out Buick's usual styling themes as gracefully as we've seen in other cars. The overall look comes off as stubby. The interior is more successful in carrying off a premium feel in a small package. The center stack is dominated by a new 8.0-inch touchscreen that helps clean up the look. Soft-touch surfaces, metal accents, and blue ambient lighting are upscale touches. 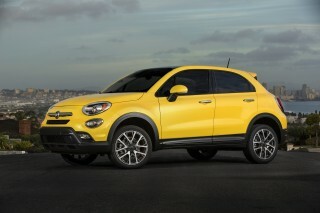 The base engine struggles to get the Encore moving, but a more powerful version offers more pep in everyday driving. Despite its large 18-inch wheels, short wheelbase, and economy-car suspension design—struts up front, torsion beam in the rear—the Encore rides well under almost every circumstance. Urban hazards, from expansion joints to potholes to steel plates on the road, can cause some light chop, but overall, the littlest Buick belies its size when you're in one of its well-padded seats. The electric power steering is good, too, with the right mix of centering and simulated feedback even on the least-maintained highways. The Encore's pint size pays off in a few performance figures, but in general it remains up against a hefty challenge: its weight. Standard power comes from a turbocharged 1.4-liter inline-4, the same engine that is an extra cost option on the Sonic found in Chevy dealers. It's paired only with a 6-speed automatic transmission. The 1.4 is offered in two versions. The base version produces 138 horsepower in addition to 148 pound-feet of torque. For the 2016 model year, Buick shoehorned in an uprated version of this engine with direct injection. It puts out 153 hp and 177 lb-ft of torque and was only offered in the Sport Touring trim. For 2017, Buick has made the more potent engine available on all trims above the base version. Now several years after its introduction, the Encore remains a pleasant vehicle to drive, but the base engine demands more power. It can accelerate to 60 mph from a standstill in the 9 second neighborhood, but that's a best-case scenario for the lightest curb weight on offer: no options, no all-wheel drive, and just one driver aboard. Add more passengers and/or all-wheel drive with its material weight of about 150 pounds, and it starts to feel truly slow. The problem is that even the lightest Encore weighs a portly 3,200 pounds. The tiny base engine has a lot on its plate. Its struggle is immediately noticeable, and is made all the more pronounced thanks to a transmission that's tuned to upshift quickly in order to save fuel. To get even moderate acceleration, it has to downshift not once, but twice. The addition of direct injection helps make up for the engine's small size. Merging and passing is easier with this engine, and it delivers more grunt from a stop as well. It features an automatic stop/start system that is generally transparent. This optional engine is definitely the clear choice for everyday driving, and, thankfully, Buick has made it available on more than just the pricey Sport Touring model this year. However, both engines emit a booming sound under hard acceleration. Opting for AWD actually improves the ride as well as adding traction. This system is tuned to send power to the rear wheels on every launch, shifting the power increasingly to the front if there's traction up to 37 mph—by which time the Encore is being propelled only by the front wheels. Even if it's not really needed much, we suspect the AWD system will be a popular fitting in the Northeast and anywhere there's snow to be found. The Encore has generous space for its small size, and 2017's control layout is more user friendly. A new dashboard design for 2017 fixes the Encore's biggest problem: a cluttered control layout. Last year we counted 33 separate controls, but that's reduced considerably this year thanks to a new 8.0-inch touchscreen. That leaves the climate controls in a group below the screen and most of the rest of the functions controlled through the screen. Plus, smartphone users can use Apple Car Play and/or Android Auto to control the infotainment functions in a more familiar manner. The Encore also gets a 4.2-inch display screen between its gauges. The new design gives the Encore a more premium feel to match the leather upholstery and comfortable seats. Buick adds a bit of refinement by making active noise cancellation standard. It blocks out engine noise, generating white noise (or, technically, anti-noise) to eliminate the worst frequencies. There's still tire and wind noise at speed, but the cabin remains calm and soothing under circumstances that would have cheaper subcompacts howling. 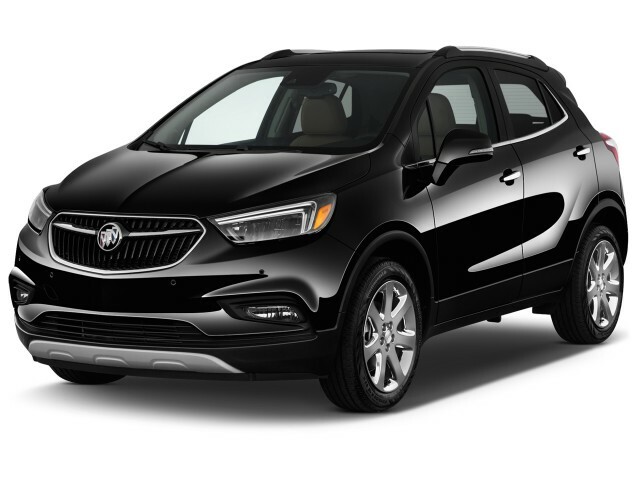 As for space, the Buick Encore may be small— after all, it is related to the Chevy Sonic subcompact—but in terms of interior space, it can comfortably carry four average adults, without too much give-and-take required between front- and rear-seat passengers. Front seat passengers won't notice the subcompact length as much as they might miss the extra width of next-class-bigger crossovers. The Encore provides a good driving position, with a commanding view over the admittedly short hood. The high roof and low dashboard combine to deliver a sense of more roominess than the Encore actually delivers. In reality, it's narrow, which means that there's not a lot of shoulder room and that front seat passengers may rub elbows in some situations. The front seats themselves are long-haul comfortable, with supportive seat backs and flat bottom cushions that would benefit from more support. In the rear, the seat is more spacious than it looks as it is capable of accommodating two adults (but don't consider it roomy enough for three). Adequate knee space comes courtesy of small hollows carved into the front seats' backs and there is even a flop-down arm rest with a pair of cupholders. But the Encore has an additional personality as a hauler for two plus all the stuff they can bring with them. With the second row seat folded down, the 18.8-cubic-foot cargo bay expands to a shade under 50 cubic feet. That makes it the perfect urban errand car—and if there's only a driver, even the unused front passenger seat back rest folds down to accommodate ladders, long boxes, or anything long and bulky. 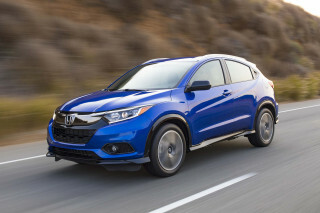 The Encore performs well in crash tests, and it offers a healthy list of active safety features. The Encore comes equipped as standard with a rearview camera on every trim level, something immediately appreciable because this crossover's side and rear-quarter vision is nothing short of appalling. The thick roof pillars, rising beltline, and diminutive rear glass combine for terrible over-the-shoulder visibility for the driver. All versions of the Encore come with Bluetooth mobile phone connectivity as standard, plus GM's longstanding OnStar telematics system with six months of free Directions and Connections, plus a smartphone app that users can download that enables navigation programming, remote starting, and other convenience features. Want to track a teen driver to see where they're going? That's included on an opt-in basis. Optional equipment starts with all-wheel drive, blind-spot monitors, and rear cross-traffic alerts, rear park assist, lane-departure warnings, and a forward collision warning system. 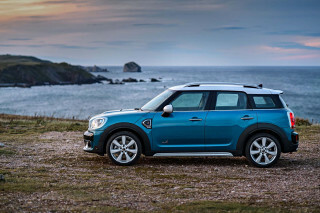 Some of those systems can be too cautious, but the crossover only occasionally offers a stray alert on steep roads. The Encore's crash-test results make it among the safer small crossover SUVs to be evaluated by both major crash-testing agencies. The NHTSA gave the 2017 Encore five stars out of five overall, with five stars in all categories but the rollover test, in which it received four stars. The IIHS gave the Encore its highest rating of "Good" for the moderate-overlap front crash, side impact evaluation, and roof strength tests. Those results qualify it for a the Top Safety Pick award, but the Encore's front crash prevention tech scores only a "Basic" nod and does not elevate the Encore to the coveted Top Safety Pick+ list. With niceties like Bose noise cancellation and a large center touchscreen, the Encore adds a taste of luxury to the subcompact crossover segment. 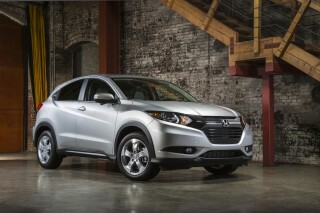 The Encore is offered in basically one model, with front- or all-wheel drive and a choice of option packages. All Encores now come with keyless ignition and an 8.0-inch touchscreen. Those features join power windows, locks, and heated mirrors; cruise control; cloth upholstery with mock-leather trim; a power driver's seat; ambient lighting; a rearview camera; the OnStar telematics system; active noise cancellation; a cargo cover; and 18-inch alloy wheels. OnStar comes with 4G LTE connectivity, free for a short period and available for a subscription following that. It allows the vehicle to create a wi-fi network, too. Buick's advanced IntelliLink infotainment system is also standard equipment. It features voice commands or the 8.0-inch touchscreen to manage audio from Bluetooth streaming, terrestrial radio, smartphone apps, SiriusXM satellite radio, or USB devices. 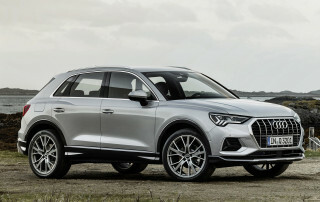 It also features convenient mobile phone functions and an optional navigation system, and for 2017 it adds Apple CarPlay and Android Auto functionality. The packages, which are basically treated as models, are Convenience, Leather, Premium, and Sport Touring. The Convenience package adds remote start, digital automatic climate control, and fog lamps. The Leather package wraps a heated steering wheel, heated front seats, and the second row flip-fold bench seat in animal hides. The Premium package features a Bose audio system, parking sensors, plus two camera-based safety features: lane-departure warning and forward-collision warning. The Sport Touring package gets the zoomier engine with its 153 horsepower, and also adds a rear spoiler, unique 18-inch wheels, and stop-start. Stand-alone options include a navigation system and a power moonroof, neither of which can be ordered on a base level Encore. There's also a Bose audio system, which is included in several packages as well. The uprated engine is available on all trims above the base model. The Encore's small engine and tiny footprint make for good fuel economy, but it's not as thrifty as some mid-size sedans. The 2017 Buick Encore may be a little squirt, but it's due for a diet and depends on hard-working turbocharged 4-cylinder engines for its propulsion. The combination pushes its fuel consumption into a middling territory, where it's bested by even some larger crossovers. The 2017 Encore is rated at 25 mpg city, 33 highway, 28 combined for its base front-wheel-drive configuration. 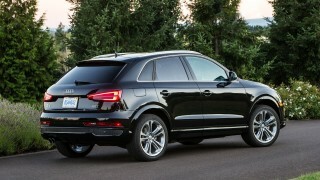 Add the optional all-wheel drive, however, and that drops to 24/30/27 mpg. The new direct-injected 1.4-liter inline-4 in the Sport Touring trim for 2016 returns in 2017 and is rated at 27/33/30 mpg with front-drive while also delivering more power. Those numbers fall slightly to 26/31/28 mpg with AWD. Clearly, this is the engine to choose, and will be available on every trim above base. 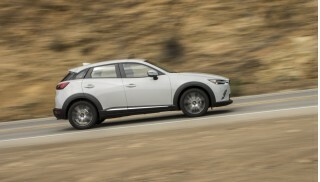 By comparison, the Honda HR-V and Mazda CX-3 get a combined 31 mpg rating. The Subaru XV Crosstrek matches the base Encore with a combined figure of 28 mpg, while the Mini Countryman comes in at 27 mpg combined. We'd also suggest the Nissan Juke, which is rated at 29 mpg combined, or 27 mpg with all-wheel drive—even though our real-world drives have turned in mileage a lot lower than official estimates. In real-world Encore drives, we've hit the EPA combined number of 28 mpg.